The influencer marketing industry is expected to hit $10 billion by the year of 2020. With so much money involved in this fast-growing area, it’s important for businesses to understand the ins and outs of this particular marketing approach. 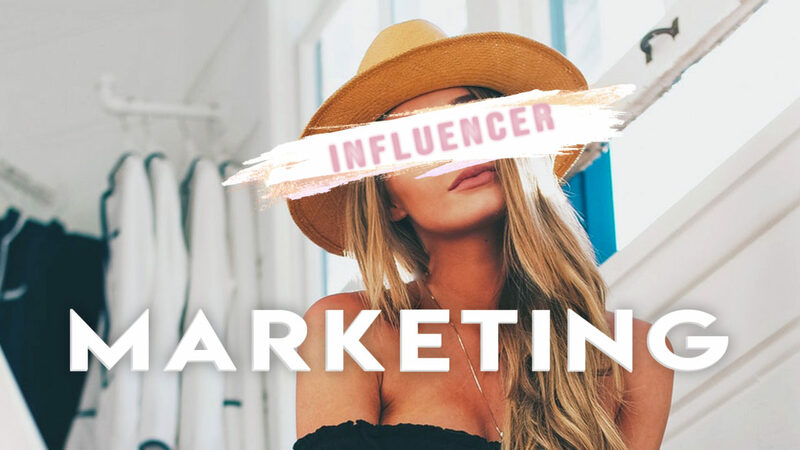 In this article, we’ll explain what influencer marketing, how it can benefit you, general advice to heed when using this strategy and an insider look into the life of an influencer. Influencer marketing is a digital strategy that can be best described as a form of testimonial marketing. Brands partner with an influential individual on social media in an effort to efficiently move content through a relevant audience. In other words, instead of tackling a social media as a whole, businesses recruit an individual, who is relevant to their target market, to push content through them in order to reach a wider audience. Typically, influencers stick to two of the following social media channels, Instagram and/or YouTube. These are the most efficient channels for influencer marketing because they are visual and have adequate tools for analytical purposes. How can influencer marketing benefit my company? The ROI of influencer marketing is 11x higher than other forms of marketing. Influencer marketing campaigns can earn approximately $6.50 for every $1.00 spent. Let’s do the math on that: Spend $500 on an influencer marketing campaign. If you play it right, you could potentially earn $3,250. In addition to a great ROI, influencer marketing can help navigate your content through social media efficiently. 40% of consumers have reported that they use ad-blocking technology online. Influencer marketing fills the gap because social media platforms categorize “ads” and influencer marketing ads differently, (for now.) Therefore, influencer marketing will get your content seen, even by users who utilize the ad-blocking technology. 49% of consumers depend on an influencer recommendation when they make a purchase. 40% purchased a product/service after seeing it through an influencer on YouTube or Instagram. Influencers’ ultimate goal is to build an audience that looks up to them and trusts them; Which is why their recommendations hold so much weight. Influencer marketing essentially cuts straight through the buyers funnel. To consumers, it is awareness, consideration and decision all-in-one. What should I consider when I’m ready to hire an influencer? In your search for an influencer to partner with, implement a vetting process, the same as you would if you are hiring an employee. You want to ensure that their target demographic aligns with yours. After all, brand awareness doesn’t mean a thing if it’s not brought to the right audience. Be sure that the influencer themselves are able to represent your brand in its’ truest form. It’s a good idea to look into their past collaborations and to confirm that they do in fact bring in revenue for their partners. Legitimacy is one of the most important metrics when it comes to this strategy. We will provide tools for you to prove the legitimacy of an influencer further down in this post. Needless to say, it’s important to have all the details laid out and agreed upon with both parties, before starting the actual ads. → Key performance goals of the partnership. Are you hoping to bring in x amount of traffic to your website? Is your goal to make x amount of revenue from this partnership? Are you aiming to bring awareness to your brand? Establish how you will track the analytics of these goals. → The number of posts you expect the influencer to deliver. Many aspects of business are a marathon, not a sprint. Bringing awareness to your brand requires repetition. One post by an influencer is not an ideal strategy. 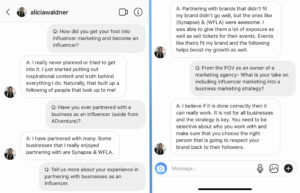 Developing a long-term relationship with an influencer is the best strategy to have when it comes to influencer marketing. →The wording and text of the captions. Are there any specific messages that you want to get across to an audience? Highlight the most unique parts of your brand and agree to share that with an audience through the influencer’s captions and/or the rhetoric. → Will the influencer be cross posting on multiple platforms? Do you plan to utilize all social media platforms- Instagram, Facebook, Pinterest, YouTube? Where does your influencer have the most pull? These are all things to consider when deciding to stick to one platform or expand among a variety. → The quality of the posts. If you want DSLR quality photos/videos, it’s important to indicate that in the contract. If you think IPhone photos/videos will do the trick, communicate that as well. → What is the required duration of post? Will the post(s) your influencer publishes be permanent post or will they have the freedom to delete it as they wish. In the industry, I’ve heard horror stories of brands paying an influencer for a post, only to have it deleted a week later! Specify the details! I’m ready to hire an influencer. How much should I pay? Engagement is a key factor to look at it when hiring an influencer. I’ve seen Instagram accounts with 3,000+ followers, but they only get 6-10 likes on their posts with zero comments. The following tools can be used to calculate a price. They take into account not only the following metrics, but the engagement metrics as well. Lucky for us, we have a notable Tampa-based influencer on our team, Alicia Waldner. We did a q&a with her to get her take on the topic. As a business owner, Alicia has always preached to her team that strategy is key. All clients are different and the most important part of our job is to respect and represent our clients in a way that they want to be presented. ADventure Marketing always puts clients first. If influencer marketing sounds like a good fit for your business, we’d love to help you formulate a strategy.